When it comes to wall colours, we've always leaned towards white, so when we came across a home recently online via Skona Hem, mostly all in blue, we had to look into the idea further. It's refreshing to see a living room in a colour one usually reserves more for a bedroom. There's something calming about the colour blue, which has actually been shown to lower our blood pressure and heart rate. The lighter blue colour seems cool and expansive. 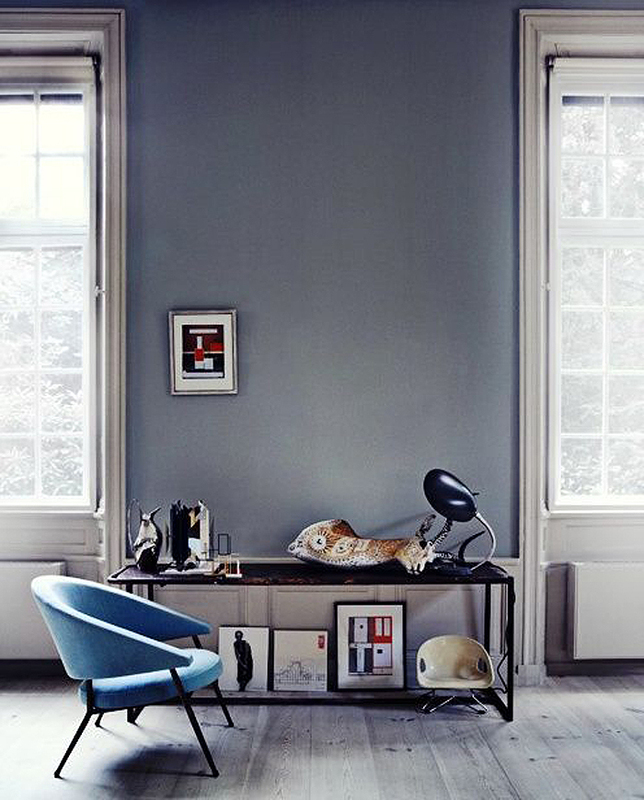 (Above and two directly below) Home of Norwegian interior designer Karina Holmen who has painted her 1800s apartment in Oslo with muted saturated colors, mostly in various degrees of blue-gray. Even the kitchen is a blue hue. Afraid to paint the walls but still like the idea of a calming blue. 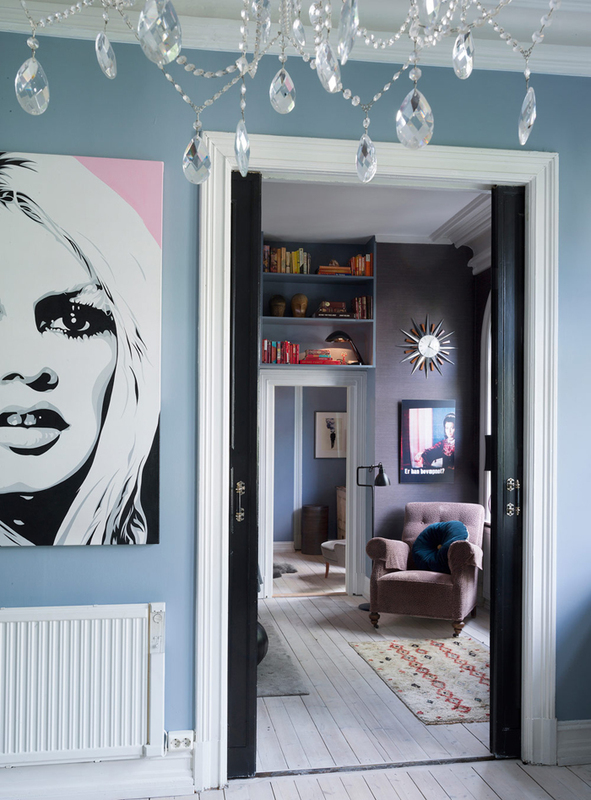 Below, from Elle Decor UK features a blue sofa and area rug which makes the room feel blue and moody also. Kristofer Johnsson for Elle Decoration UK. How about you? Would you paint your living room blue? Interesting. 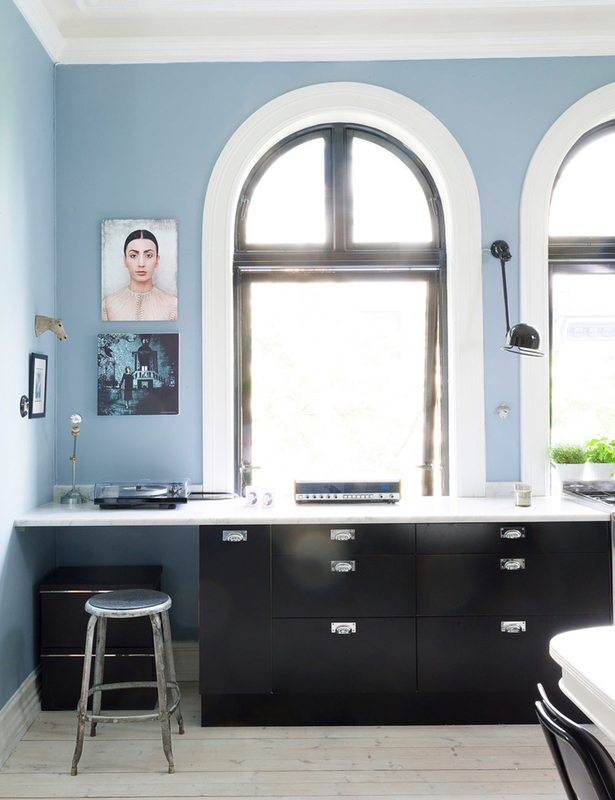 I have never thought blue to be a particular favorite color of mine, but each of these rooms appeal to me. They are soothing, quiet, decorated with perfection and simply lovely. I think perhaps I need to reconsider blue as part of my decorative palette! Thanks for opening my blue eyes! 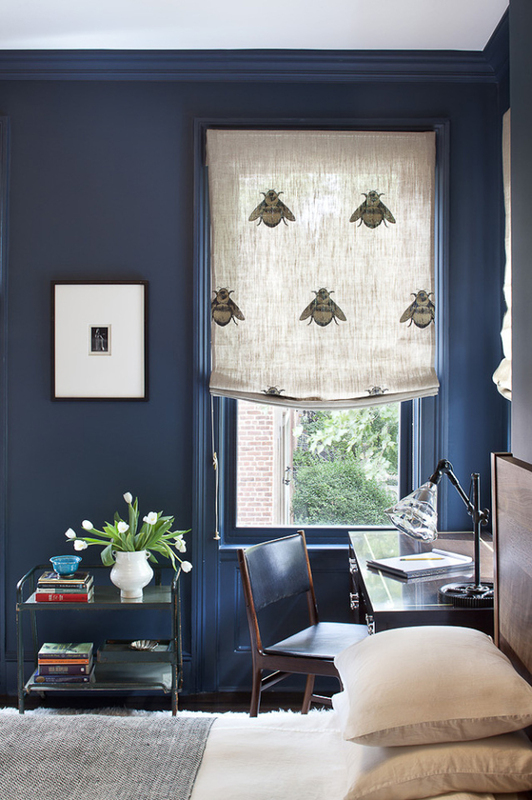 Oh, I just love the blue desk area with the honeybee window shade, I'd have that in my home in a minute! Judy - same thing happened to me when I saw these. And agree that honeybee window is adorable! Kathy - So fun! Send pics!